What are the attitudes of Vermont’s youngest drivers towards safe driving practices? The answer will help safety advocates throughout the state find effective ways to foster a safer and more conscientious culture among them. Medical students at UVM are making this possible. Vehicle crashes are the leading cause of death for teens in the US; nationally, teen drivers are three times more likely to be in a crash than adults. Despite these figures, there are no current studies in Vermont that meaningfully assess teen driver attitudes prior to licensure. The Vermont Youth Risk Behavior Survey collects data about the perspectives and habits of high school students, but because it has such a wide scope it reveals very little information specific to driving. The state’s own annual driver attitude survey (PDF) only gathers data from adults. Vermont hasn’t had a data-collecting tool that helps it understand how young drivers make decisions, or provide knowledge about the climate of influences that affect their choices while driving. A better understanding of young driver attitudes could help safety advocates be more effective at making positive change. It could support their efforts as they compete for funding that would help them make Vermont roads — and Vermonters — safer; data would substantiate their explanations about what is needed and make the state competitive as it seeks those resources. The UVM Public Health Project student leadership team. 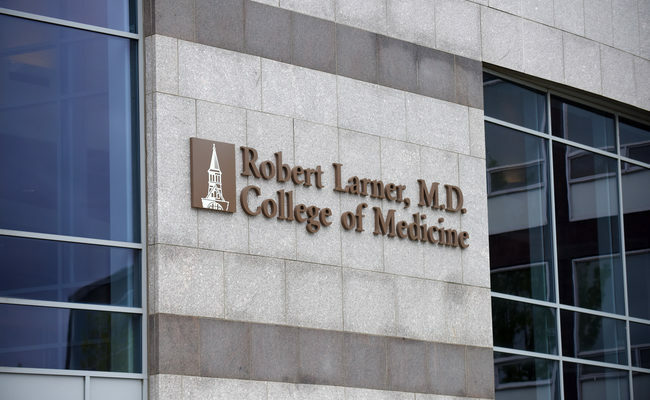 In 2018 a Youth Safety Council of Vermont proposal was accepted into a student research program of the Robert Larner, MD College of Medicine at the University of Vermont. 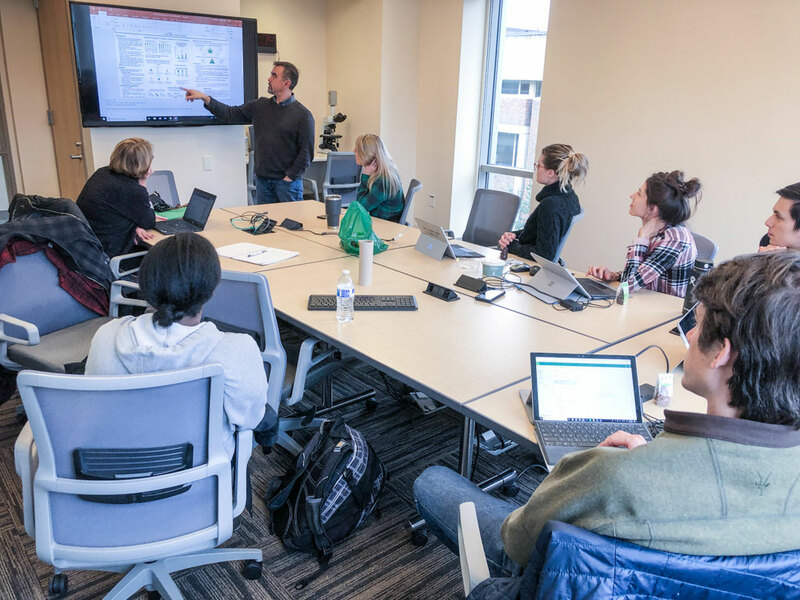 Public Health Projects is a required course incorporated in the Vermont Integrated Curriculum, teaching students to apply the principles and science of public health while working to improve the health of the community. 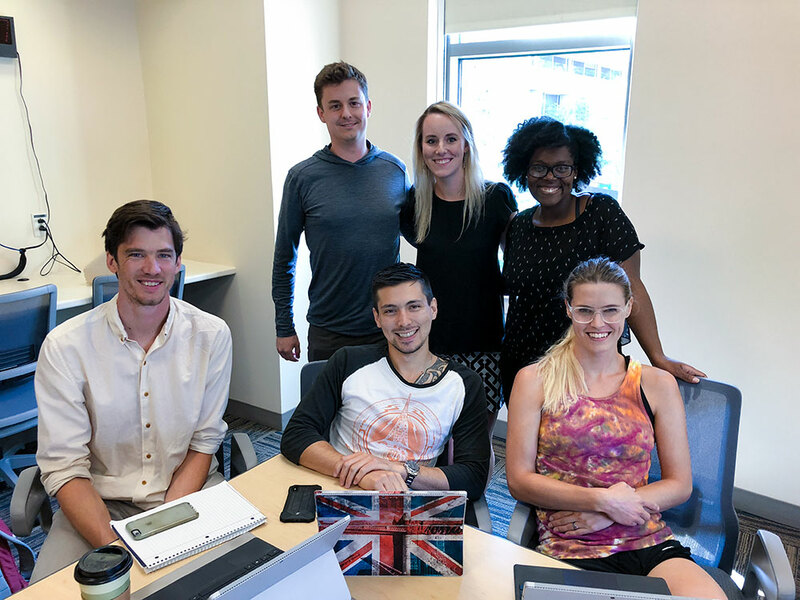 Public Health Projects respond to health needs identified by local community agencies — sixteen projects are completed each autumn by medical student groups working in partnership with community agencies, and mentored by both College of Medicine faculty and community agency mentors. Through exposure to the kinds of public health challenges they will face in their future careers, the overall goal is that students will become better physicians. The Public Health Projects program was first implemented in 2004 as a partnership between UVM and United Way of Northwest Vermont Volunteer Center. Dr. Wendy Davis & Ashton Pike. 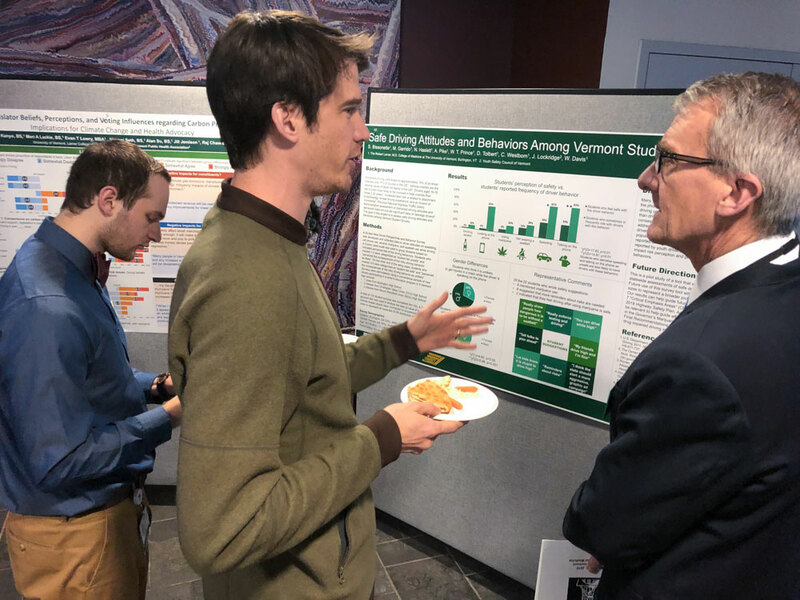 During the fall 2018 semester, second-year UVM students were dedicated to producing a statewide young driver attitude survey. This leadership team of seven students included Sam Bissonette, Megan Garrido, Nicholas Haslett, Ashton Pike, Tyler Prince, Davina Tolbert, and Catherine Westbom, with faculty support from Wendy S. Davis, MD, FAAP, of the Vermont Child Health Improvement Program at UVM; Thomas Delaney, PhD, Research Associate, Department of Pediatrics; and Raj Chawla, MPH, Faculty Technology Liaison. The public health research program is directed by Jan K. Carney, MD, MPH, Associate Dean for Public Health. 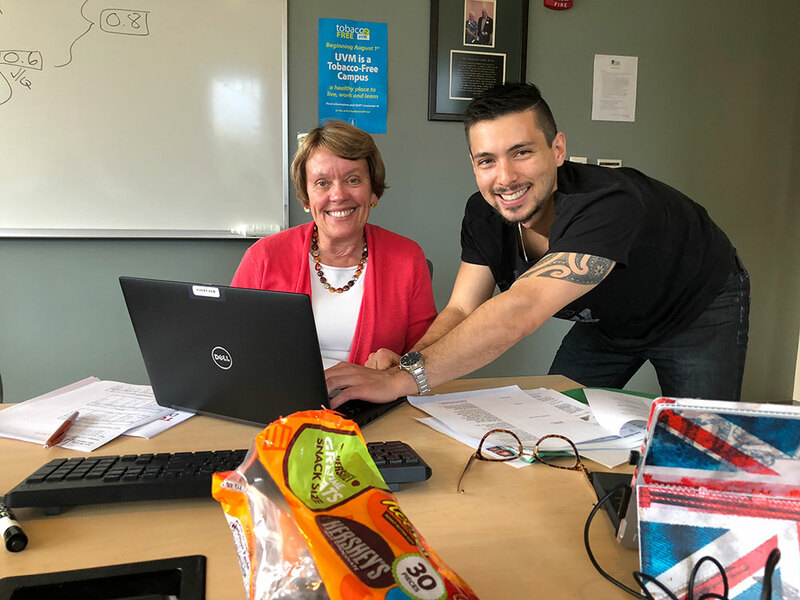 Evelyn McFarlane, Coordinator of the Vermont Highway Safety Alliance and James Lockridge, Executive Director of the Youth Safety Council of Vermont, provided advisement. Raj Chawla with the UVM team. The objective of the new survey was to assess young driver outlooks and attitudes about their willingness to drive distracted; their preparedness to intervene when other drivers behave unsafely; and to give an overview of ‘safety culture’ among Vermont’s newest road users, including the examples set for them by their parents. The UVM students researched surveys used by highway safety offices in other New England states and ultimately created a 26-question paper survey (PDF) that integrated the logic and examples they discovered. They also referenced reports referred by the Youth Safety Council including Vermont’s Strategic Highway Safety Plan, noting the Critical Emphasis Areas relating to young drivers and distraction. The UVM team distributed the survey to driver education students at Burlington, Champlain Valley Union, and Mount Mansfield Union High Schools. For the survey a new driver was defined by having ‘no permit/license,’ a ‘learner’s permit,’ or ‘driver’s license’ within a particular age range. New drivers completing the survey were in the age range of 16-23 years of age. The UVM students also provided an information sheet (PDF) about the survey and its goals, the confidentiality of the answers, and explaining that participation was voluntary. This was meant to introduce the project to students, educators and parents. The survey asked questions about speeding, cell phone use, alcohol, marijuana, and seat belt use, and used a five-point Likert-type rating scale to capture granular degrees of opinion. On one end of the rating scale, 1 indicated a student felt very unsafe, values 2-4 were on the spectrum of unsafe to safe, and on the other end of the scale 5 indicated a student felt very safe. 1 Also indicated consequences for risky driving behavior were very likely, values 2-4 were on the spectrum of consequences likely to unlikely, and 5 indicated consequences were very unlikely. Participants that marked 1-3 were categorized as student felt unsafe and perceived consequences of risky behavior as very likely. Participants that marked 4-5 were categorized as student felt safe and perceived consequences of risky behavior as unlikely. Differences between the surveyed groups were quantified using a Chi-squared test. The Chi-squared method was chosen to test how likely the distribution of the data collected was due to chance. Statistically significant results were defined as having a p-value of p=<0.05. Gender-based results were normalized to accommodate gender in order to represent an expected 50:50 distribution of gender. The research fell within the Exempt category of the UVM Office of Research Protections or was classified as public health practice. Team member Nick Haslett discusses the survey with Richard L. Page, MD, Dean of the Larner College of Medicine at UVM. There were 134 respondents in total, and even with this limited scope the pilot survey returned actionable data. All but one student had a learner’s permit. 95% of students reported feeling unsafe while their driver was looking at his or her phone but 65% frequently rode with drivers who were doing so. Of all the risky behaviors surveyed, speeding and talking on the phone made students feel least unsafe, and students reported often being in vehicles driven by people partaking in these activities. Males perceived phone use while driving as having lower consequence than females did, although females were more frequently in cars driven by phone users. The survey helped the UVM student team conclude that many young drivers classify speeding and speaking on the phone as low-risk driving behaviors. Despite similar consequences, students felt that it was safer to drive under the influence of marijuana than of alcohol. They learned that overall, young drivers are more likely to take risks while driving, despite the knowledge that these activities may be dangerous, and that gender may impact risk perception. They found that students seem open to additional education, particularly regarding the use of marijuana. 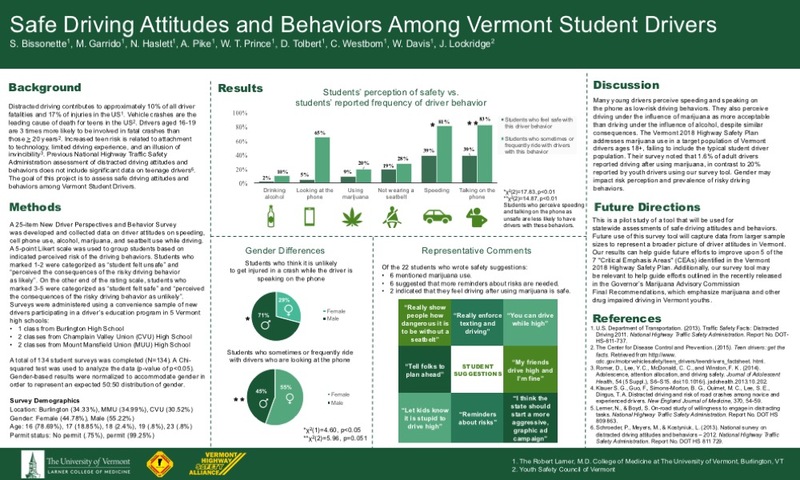 The survey results were synthesized into a poster (PDF) that was displayed at a community celebration on the UVM campus in January, 2019, and students were invited to present about this project to the leadership of the Vermont Highway Safety Alliance at their board meeting in February. 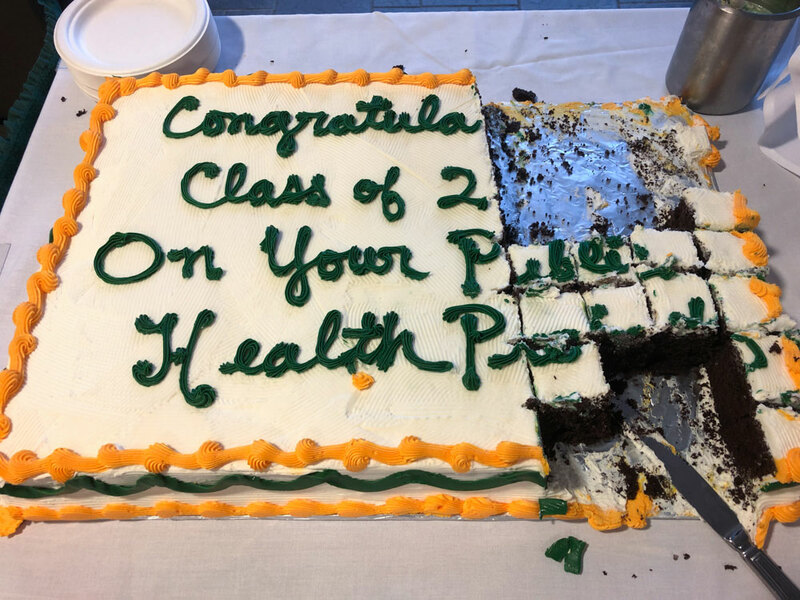 A celebration was held for all the Public Health Project teams, sharing their results with the community. Educational safety initiatives like the Youth Safety Council need to address behaviors at their roots to improve universal cultural orientation toward highway safety, and this survey project has the potential to provide a baseline understanding of these driver attitudes. It has been piloted successfully in Chittenden County, demonstrating that it generates a genuine better understanding of young driver attitudes. Now the survey can be implemented across the state, giving Vermont’s safety organizations — and the state itself — a needed lift in their efforts to secure the resources of information and funding that are necessary to make Vermont’s roads safer, one generation of new drivers at a time. For more information about future statewide implementation of this survey, contact James Lockridge at the Youth Safety Council of Vermont, info@yscvt.org. For more information about the Public Health Projects curriculum, contact Jan Carney, MD, Jan.carney@med.uvm.edu. This information was provided by the Public Health Projects student leadership team and mildly edited by the YSCVT. Photo at top courtesy UVM Larner College of Medicine.